Memory verses are a great way to learn Scripture. The challenge with young children is how to help them remember all those words. Often we boil down a verse into bite-sized phrases that aren’t the full verse from Scripture. 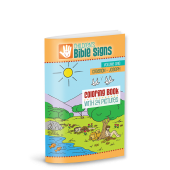 The Children’s Bible Signs Memory Verse Book offers a new solution! 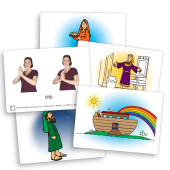 We've included hand gestures and movement alongside full memory verses from the English Standard Version (ESV) and New International Version (NIV) of the Bible. 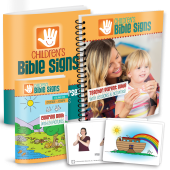 Watch with amazement as kids repeat back to you full Scripture verses with enthusiasm! 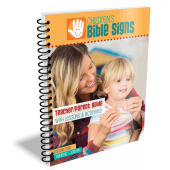 It will warm your heart to see young children honor God by expressing his love and strength this way. 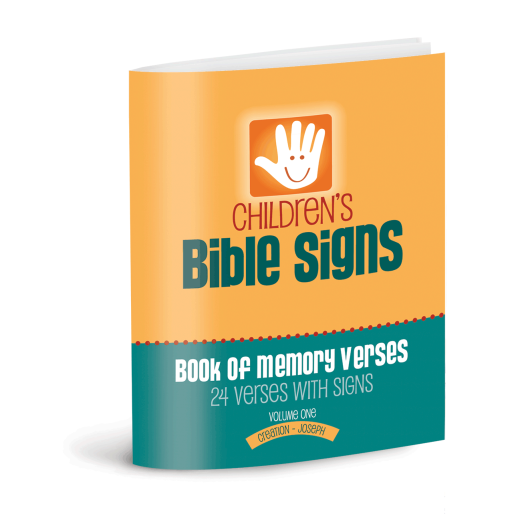 The Memory Verse Book includes 24 verses, along with photos showing the signs to help children memorize the words. Use these memory verses with the lessons or on their own around the house.